Today the Church remembers the Seven Founders of the Order of Servites from the 13th Century. In the mid-13th Century, morals were low and religion seemed nearly meaningless in the political city of Florence. In 1223, seven men from that city decided to form into a small group and go off to a silent place to serve God direct. The Order was founded that day on the Feast of the Assumption as Mary appeared to the seven men. Two of them were widowers and two were still married and brought their families to live together in faith. They meant to live in solitude, but the group was continually disturbed by visitors. They all left Florence and went to Monte Senario. 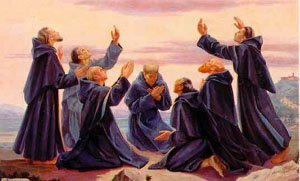 In 1244, under the direction of St. Peter of Verona, O.P., this group adopted a religious habit similar to the Dominicans and chose to live in accord with the Rule of St. Augustine. They adopted the name of the Servants of Mary. 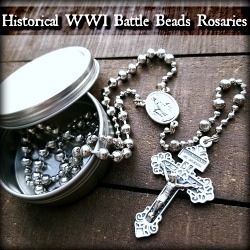 Learn how to pray the special Servite Rosary today. O Lord Jesus Christ, Who, to honor the memory of the sorrows of Thy most holy Mother, didst through seven blessed Fathers enrich Thy Church with a new family of her Servants: mercifully grant that we may be so linked in fellowship to them in their sorrows, as to share also in their joys: Who livest and reignest. I read this great book called: Behold Thy Mother when I was 21 years old. it was given to a friend then to me from The Most Holy Father Peter Mary Rookey of Chicago. I knew right away that THIS was The Order for ME! Sadly however, much sadly, I also felt it was not a Holy-Choice for me to Join and live in Community. Nor would it be now about 20 years later. But I am presently in search of finding out whether or not one can become a Fully-Vowed Servite without living in Community.. Not as a Third Order, but as a regular Brother or Sister would, with the same Vows and Rules and Prayer and so on - just Not IN Community. Anyone know if this is possible? 2. Anyone know of Servite/Servites living in either Mid/Upper New York State or near Ft. Lauderdale Florida to speak with in person? time goes by so quickly i can't continue to place this desire on-hold much longer! I would like to "Live My Life as a Servite".. But at this pace (am now 43 yrs old) I'll be cutting it close to simply Die as One! I'd like the chance to LIVE as One! Looking to Improve Your Lent? Do you have Questions on Mary? Mark your calendars for Sunday! Is your Spiritual Life Burdened by Distractions? 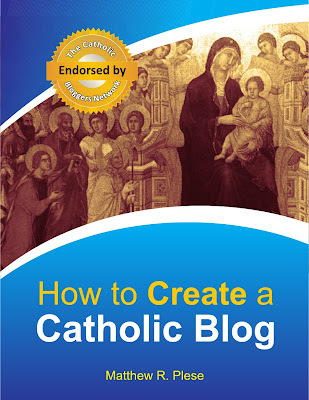 Have you read "Deus Caritas Est" Yet? 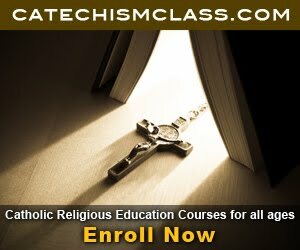 What is the Catholic Mass?